Latest. Greatest. 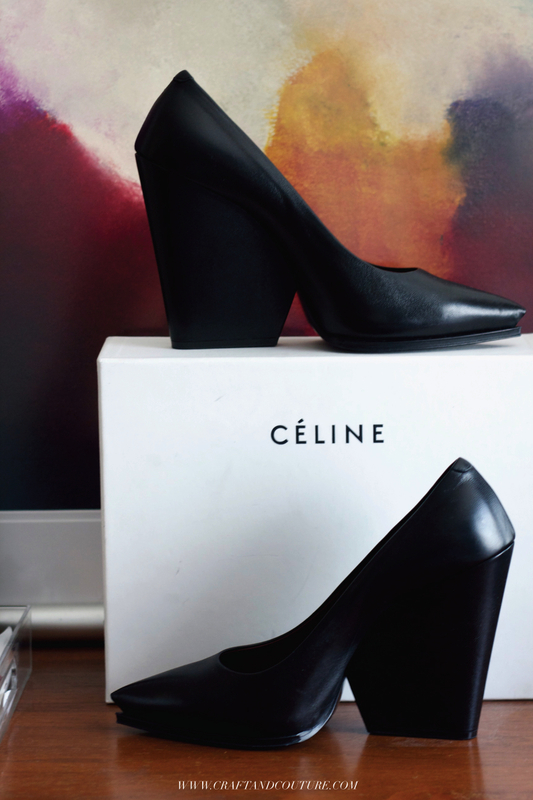 Meet the new addition to my shoe family - these Celine wedge pumps. They were 80% off on SALE at the local Barneys outlet. Most important reason why I love them? 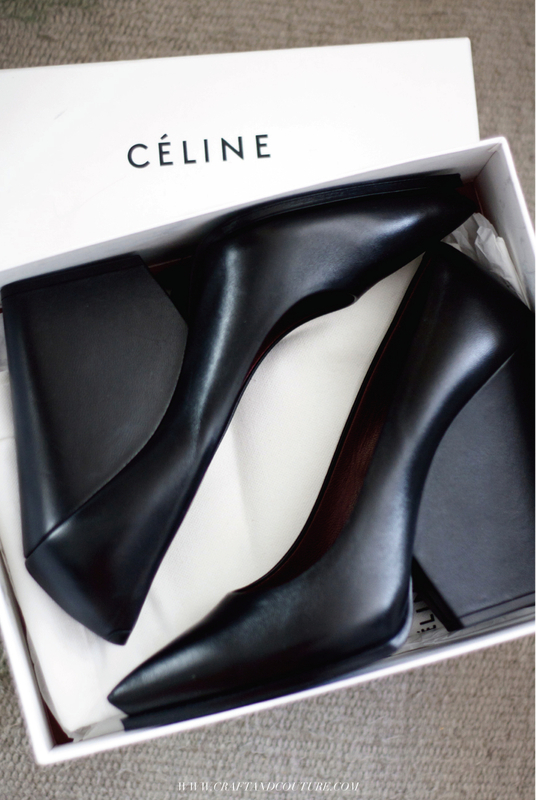 I know I will actually wear them. Is the foundation by which great closets and style is built. Contrary to what you may think (as seen from my shopping habits), I have actually been passing up a lot of finds lately. In this recent post , I opened up about how being a mom and my lifestyle leads me to dress more casual and comfortable these days. 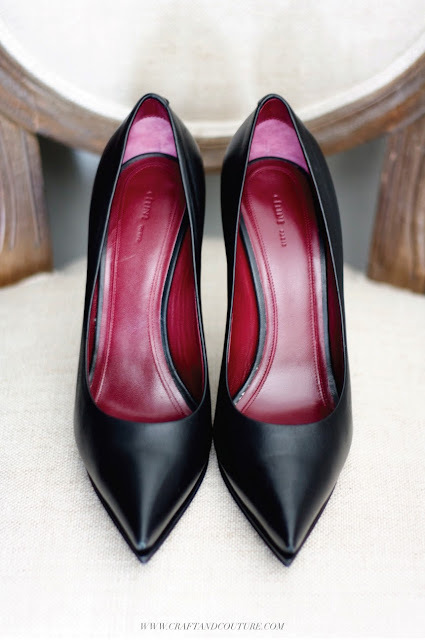 A recent Barneys sale score - a pair of Givenchy wedge sandals, sadly had to make their way back to the returns section. A gorgeous Lanvin dress spotted at the Outlets yesterday got the cold shoulder. Because, after much thought - I knew they wouldn't get that much use. I can't keep buying every amazing find without really considering its weight and how it could contribute to the soul of my closet. I need to be honest and make sure every single item in my closet is a love. No more what-if pieces - you know them... "what if I travel here, I will need this, what if we have this kind of event, I will need these.....etc". I want to continue buying fewer, but better quality and more practical items. My goal is to have a closet of simplicity and substance as opposed to one overflowing with unused, unnecessary, and trendy items. That just sounds lovely- like a health cleanse, a detox, - getting down to what matters and what's important. Embrace different styles, brands, and price-points. I think shopping at a wide variety of stores makes for a well-rounded closet - from thrift shops (my fun new obsession), flea markets, fast-fashion (Zara, Forever21), to department stores and designer boutiques. After all...style isn't about labels, price tags, or age. There are things I have sworn off in the past. Just a few years ago the thought of wearing harem pants (aka MC Hammer pants) would make me gag. Well here I am sitting in a pair that I wear practically everyday (so comfortable yet look effortlessly chic). Skinny jeans came around about 7 years ago - I hesitated, then felt like a fool for waiting so long to dive into a pair, only to find out how flattering they actually are. My latest revelation- white! I used to think white shoes were tacky. Well Carine's Celine wedges (above) certainly disprove that notion. I am no longer raising an eyebrow to trends. There's no way to tell if something will work for me unless I give it a shot. Non discrimination. Kind of important too in the fashion world. Our clothes speak a universal language. How we dress is ultimately a reflection of ourselves, so doesn't that make what we wear an important part of life? We communicate with others and tell a story with our outfit choices. Shouldn't what we put on be as carefully thought out and honest as what comes out of our mouths? I've been thinking of what language my clothes speak and what exactly I want them to say. Hopefully it's saying something along the lines of: I am confident, I am comfortable, I am elegant, I am simple, I have substance, and I know when to have good clean fun. In case you have been doing some closet soul searching too lately- I urge you to think, explore, purge the unnecessary and create your own Closet Commandments to live and shop by.